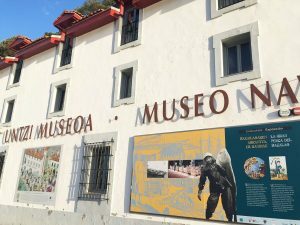 The Untzi Museoa – a Naval Museum is situated in the port of Donostia / San Sebastian occupying the consulate tower house, a mid- eighteenth century building. The Naval Museum – Untzi Museoa is conceived as a centre destined to contribute to the conservation, the study, and the dissemination of history and basque maritime heritage. The museum maintains these objectives in its diverse areas: educational activities, research, publications, production of exhibitions, recovery and protection of maritime heritage. The two main floors of the museum, host temporary exhibitions of long duration, focused on single topics, chosen for its historic and cultural relevance. The top floor houses smaller exhibitions and educational workshops as well as a specialized library open to everyone interested in consulting their funds.